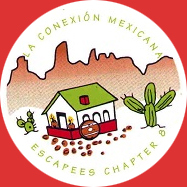 Check out the Summer 2018 issue of La Conexión Mexicana, Chapter 8’s newsletter. See 40 photo-packed pages that detail the Feb. 2019 Rolling Rally in Baja California. 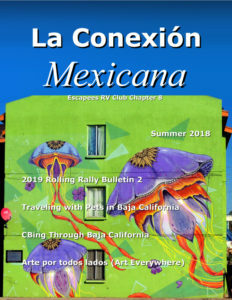 Articles include 2018 Wine to Whales rally survey results, bringing pets on the caravan, bringing a CB on the rally, and art in Baja California. Enjoy!